Ms. Manshu sharma, a student of BBA-LLB 4th sem. 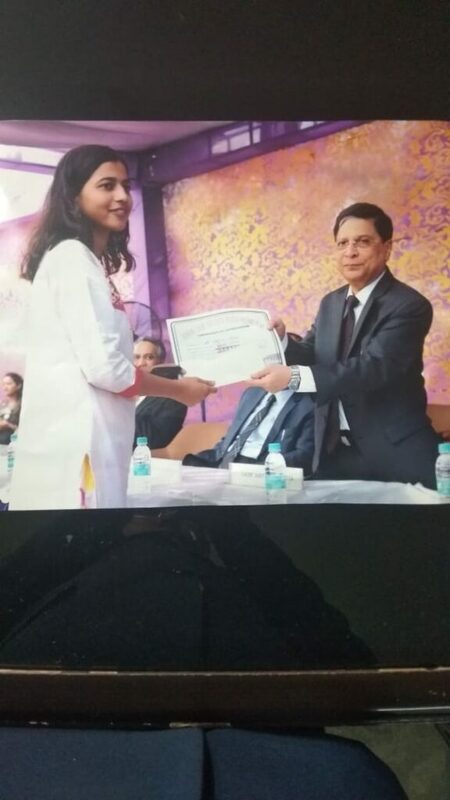 Of MERI PLI was awarded a certificate of appreciation and a cash prize of Rs. 11000/- for her participation in National Cadet Core at the national level by Chief Justice of India on 27th Sept. 2018.